Elder Elie K. Monga was named a member of the Third Quorum of the Seventy of The Church of Jesus Christ of Latter-day Saints on April 1, 2017. Elder Monga received a bachelor’s degree in English literature education from ISP Lubumbashi in 2009. From 1991 to 1992 and again from 1995 to 2000 he worked as an electrician for the National Broadcast of the Democratic Republic of Congo in Lubumbashi. He then began working for the Church as a coordinator for Seminaries and Institutes in 2000. 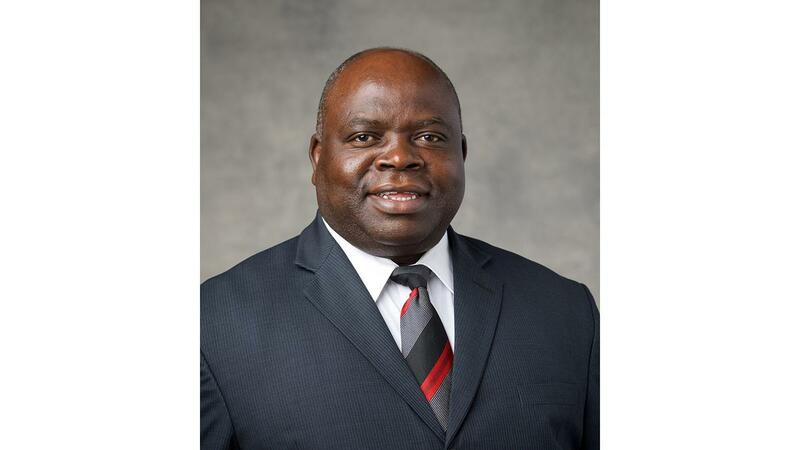 Since joining the Church in 1987, Elder Monga has served in a number of Church callings, including full-time missionary in the Ivory Coast Abidjan Mission, elder’s quorum president, high councilor, counselor in a stake presidency, counselor in a mission presidency, and mission president (Republic of Congo Brazzaville Mission, 2014–2017). Elie Kyungu Monga was born in Lwamba, Katanga, D.R. Congo, on May 9, 1966. He married Vianney Mwenze in 1997. They are the parents of four children. Elder and Sister Monga reside in Brazzaville, D.R. Congo.